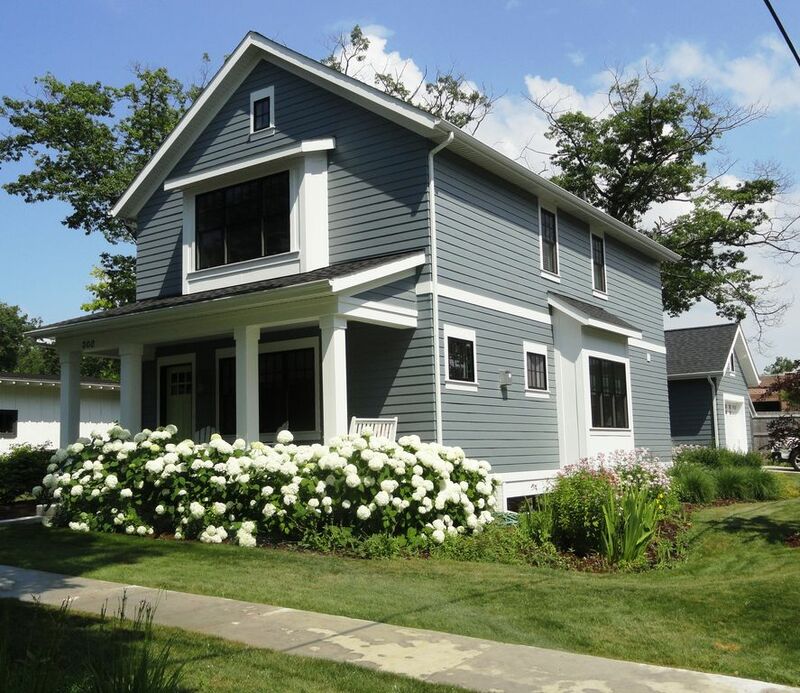 All The Charm Of Historic Leland And The Conveniences Of A Modern, Luxury Home. Leland Charmer on Second is a 4 bed, 3 1/2 bath newer home but with all the charm you expect from the quaint town of Leland. Location: Tucked away in a quiet neighborhood but only 3 short blocks to downtown Leland, 3 blocks to beautiful North Beach on Lake Michigan, 3 blocks to the park on the river, and 4 blocks to Nedow's Bay on North Lake Leelanau. The House: 2770 sf of living space on 3 levels, with an old fashioned front porch and a one car garage to store your bikes and toys. Backyard has grill and outdoor dining. Living Space: 1st floor has gourmet kitchen with Wolf range, Subzero refrigerator, quartz countertops, open dining room and living room with gas fireplace, hardwood floors, and beautiful furnishings. Lower level has another family room, perfect for the kids to hang out. We provide cable TV (flat screens in living room, family room, and master bedroom) and high speed internet. Bedrooms & Baths: Stunning master bedroom on 2nd floor with King bed, private bath with walk in shower and quartz countertops, walk in closet. 2 guest rooms each with a queen bed share a guest bath on the 2nd floor. Queen bedroom with separate bath in lower level, adjacent to family room. Convenient laundry room also on 2nd floor. Leland: Historic Fishtown (pick up fresh whitefish for the grill from Carlson's, caught that morning), quaint shops, Lake Michigan beaches, boating on North Lake Leelanau, kayaking on the Leland River, golf at Leland Country Club (tee times available to the public before July 4th and after Labor Day). Surrounding Area: You are a short drive to Sleeping Bear Sand Dunes (voted the Most Beautiful Place in America), the quaint villages of Glen Arbor and Suttons Bay, Traverse City with it's Cherry Festival and world renowned Film Festival. You are also near the Leelanau Peninsula Wine Trail, featuring 24 award winning wineries. We are the owners, Sue and Chuck Knox of Traverse City. I have such fond memories of vacationing in northern Michigan, dune buggies on the Sleeping Bear Sand Dunes, cottages on the lake, biking around town without a care in the world. We knew we wanted to own property in Leland at some point in our lives. This home was built in 2014 by a well respected local builder as a high end vacation home. It is in the middle of historic Leland, it's architecture fits into the neighborhood, but you have all of the conveniences of a brand new home. Head 3 blocks northwest, and you are on North Beach on Lake Michigan, one of the most beautiful beaches around. Head 3 blocks southeast, and you are in the heart of downtown Leland. Head 3 blocks south, and you can drop your kayak in the river. Or head 4 blocks east and you are at Nedow's Bay on North Lake Leelanau. You really are in the center of it all! Three full baths, brand new with beautiful cabinets, quartz countertops, Kohler fixtures. convenient powder bath off great room on main floor. Driveway parking for one car. Street parking. One car garage storage for your bikes or kayaks. Wolf range, hood and microwave drawer. State of the art! Dining table with 2 chairs, bench seating for 8. Flat screens in Living room, lower level family room, and Master bedroom. Backyard has dining table for 6, 2 additional adirondack chairs, and gas grill. This is one of my family’s favorite properties of all time. First, it was immaculately cleaned. Then it was modern and spacious. Lastly, everything was well stocked and overall very warm and inviting. We will be staying here again. For anyone looking for a home within walking distance to fishtown, this should be your first pick. We stayed for a long weekend and this worked perfect for both families with little ones. Open floor plan with plenty of space. We will definitely be back. Thank you! The Leeland charmer is exactly that - CHARMING! It is a beautiful home and so warm and inviting! Enjoyed our long weekend in Northern Michigan while attending a wedding. Sue was so helpful when we could not get the fireplace to start. She responded right away and was so pleasant with our entire stay! Even though the weather was chilly, we loved the walking distance to downtown Leeland. Thanks Sue for sharing your home with all of us! Gorgeous home blocks from downtown! This home is stunning and beautifully maintained. It was clean and well stocked with linens and kitchen essentials. Susan is by far the nicest renter I have dealt with and was very prompt in her communications. We will definitely be back! this was our 2nd time staying here and it was amazing as the 1st! Leland Charmer on Second is absolutely the nicest VRBO we have ever stayed in. The owners have poured their heart into this place. Attention to every detail with only the finest of amenities. We didn’t want to leave! Leland Charmer on Second is as good as any 5 Star Resort I’ve stayed in! Close to Sleeping Bar Sand Dunes, voted the most beautiful place in America!